After a career in the field of mechanical engineering that spanned more than half a century, a former professor has switched his focus to financial investing. Shyam Bahadur, a university professor emeritus, recently published a book that he hopes will educate people to build wealth through investments. 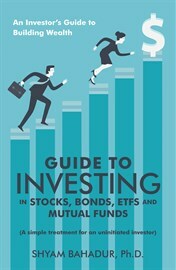 The 254-page book, Guide to Investing in Stocks, Bonds, ETFs and Mutual Funds, was published in January 2018 by LifeRich Publishing and is available through Amazon and Barnes and Noble. Bahadur said that he had always been interested in investing having learned about it by reading books and literature related to finance and investing. He also gained practical experience by making real investments. 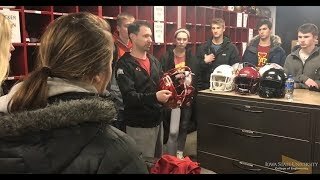 To broaden his knowledge, he audited a course on investments in Iowa State’s business college. He was so invested in the class that he did all the homework and even took the exams. Cover shot of the book. The motivation to write the book came from his realization that a large population of Americans do not save because they think that they need a lot of money to start saving. The book begins with the basics of stock market investing and covers topics such as stock valuation, analysis of stocks with practical data and examples, selection of stocks, sectors and industries for investment, asset allocation, diversification and portfolio rebalancing. It also provides insight on mutual funds, exchange traded funds and bonds. Bahadur grew up in a modest family in India with little direction and support from his family during an era when the level of education in India was not high. The motivating factor for him was knowing that a college degree would help him to achieve success in life. In the 1950s, the engineering programs at colleges and universities in India were highly competitive. Bahadur said he took the entrance exam with about 10,000 of his peers for 70 seats in the three branches of engineering at the University of Roorkee, which was later renamed Indian Institute of Technology, Roorkee. Bahadur said it was considered to be one of the most prestigious institutions in engineering at that time. After completing his bachelor’s degree in 1957, Bahadur pursued his master’s degree, also from Roorkee, while also serving as a faculty member in mechanical engineering. He served in teaching positions for ten years prior to coming to the United States. During that period, he published a book and established a new mechanical engineering degree program at Gorakhpur in Uttar Pradesh, India. 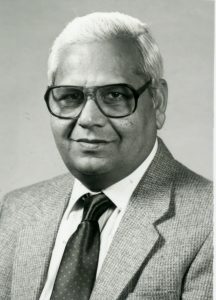 In 1967, Bahadur left India to pursue a Ph.D. in mechanical engineering at the University of Michigan in Ann Arbor which he completed in just two-and-a-half years. His research focused on the tribology of polymers and composites. He said the reason he worked in tribology was because it was a brand new discipline and very little work was being done at that time particularly on the tribology of polymers and composites. 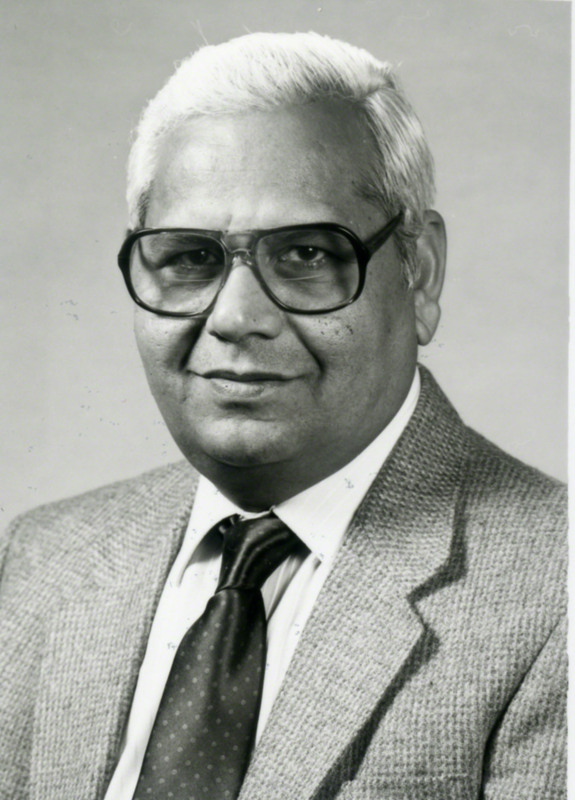 After completing his doctorate in 1970, Bahadur was hired by Iowa State as an assistant professor of ME. Two years after coming to Ames, Bahadur received tenure and promotion to associate professor and then three years later he was promoted to full professor. 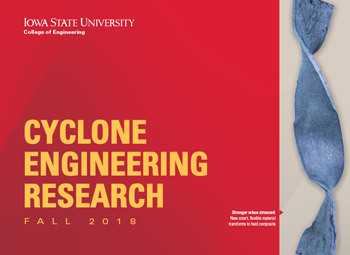 He said that his many years of past teaching experience, a successful graduate research program at Iowa State and a few grants from the National Science Foundation (NSF) helped to fast-track this process for him. At Iowa State, Bahadur published about 100 papers and also helped to organize a number of international conferences. He held the title of Fellow for both the American Society of Mechanical Engineers (ASME) and the American Society of Testing and Materials (ASTM). He also developed two graduate-level courses: one on polymers and composites and another on tribology. He even served as a visiting professor at the University of Cambridge in England for six months while on faculty improvement leave. Having taught in various countries, Bahadur said the difference in the teaching cultures was one of the first things he noticed when he moved to the United States in the late 1960s. Bahadur said that he used to tell the students, “If you can’t be creative, what type of engineer will you be?” He cited this as the reason he had a reputation as a tough professor in the classroom. During his career, Bahadur also served as the acting chair of the ME department. In the year 2000, he was bestowed with the title of University Professor, which is given to those faculty members whose work extends beyond the excellence in teaching and research and who are recognized to have made “significant contributions that have improved the university.” He retired in the year 2006 with the rank of University Professor Emeritus. “Even though I’m retired, I still follow the routine of an active worker. 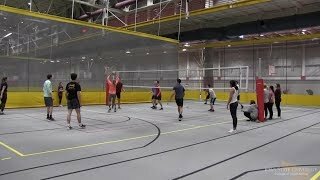 I come to my office on-campus every day except the weekends and I’m usually in my office until about 6 or 6:30 each evening. This is what keeps me in good spirits and I feel as young as ever,” he said, adding that he enjoys reading and keeping up with the developments in his field and other matters of interest. He has traveled extensively, having visited many countries and every major national park in the U.S. He said that he feels he has had a fulfilling life, enjoyed it thoroughly and has no complaints.